Julie Franklin has a pioneer spirit. 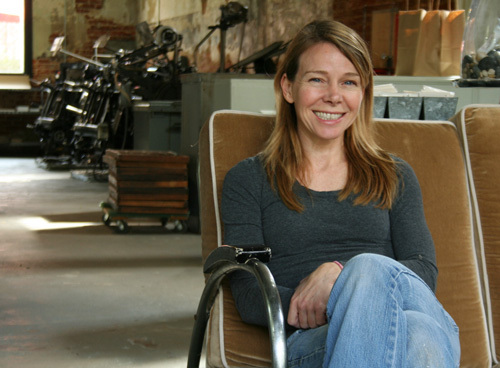 The moment she picked up her first letterpress card in the early 90's, she was hooked. As she shared with me in a recent interview, "It was so special- the words and images danced off the page. And the paper was thick and yummy." She had found her calling. The only thing was Julie was a bit ahead of her time. When she bought her first letterpress machine in 1995, people in her city of Atlanta didn't understand the appeal. Through various trade shows and hard work, she amassed a steady client base from California and New York. As she shared, "I had high school textbooks from the 20's and I taught myself." 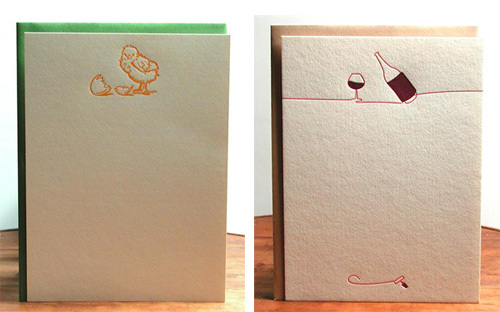 Now, over 17 years later, letterpress has gained a strong following nationwide. Most of her clients are now locally based and loving all the pretty and smart designs she has to offer. 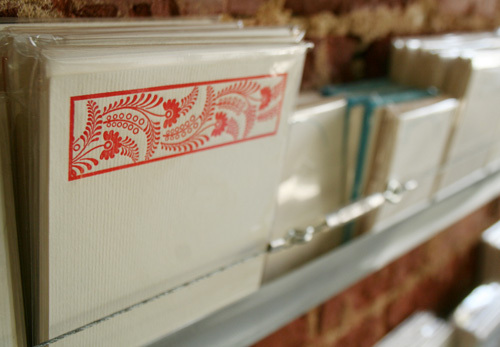 Julie's company, Bumblebee Press is currently located in the Inman Park section of Atlanta. 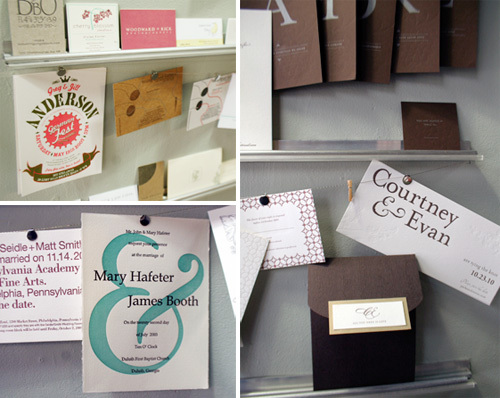 She specializes in custom letterpress for stationery, invitations, weddings, events and branding. The texture and visual appeal of a letterpress card is undeniable- and it's the perfect creative touch to add to your special occasion. Julie relishes the chance to collaborate with designers to create custom looks, but also designs on her own. No matter the project, her favorite part is delving into ideas or styles that are novel and a little challenging. Julie's studio is an incredible space. Once a grocery store from the 1920's, much of the original brick is exposed and the space is bright and welcoming. 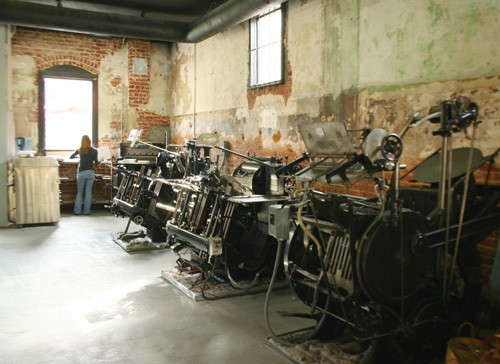 She currently has four automatic letterpress machines, the earliest dating back to the 1930's. If you live in or around Atlanta, stop by and say hey to Julie. With retail offerings in the front of the studio, her door is always open and her smile never far away. She's a Southern girl through and through, with a heart of gold and a true passion and care for her craft. Thanks for sharing Julie!